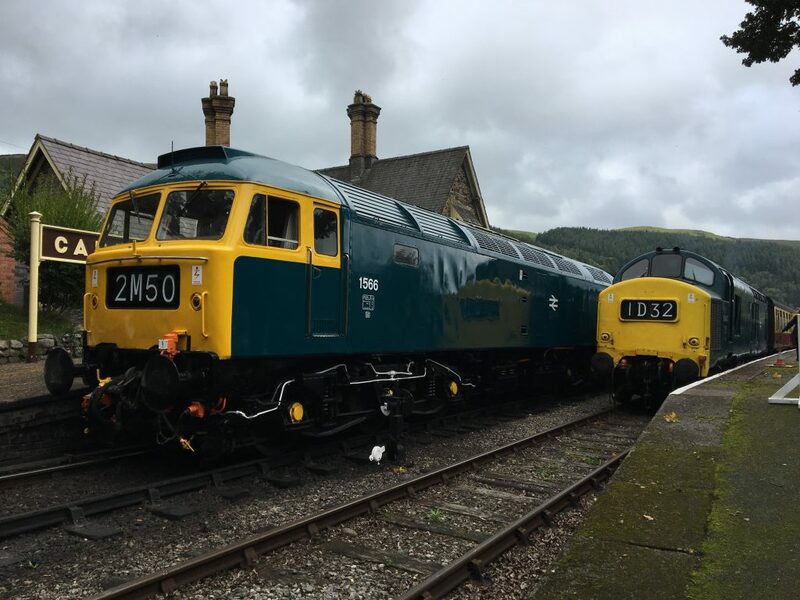 A massive thanks to everyone who supported our Diesel Weekend. We were so pleased to see so many visitors give there were large events on elsewhere. Thanks also go to the staff and volunteers who were involved in making it happen. In particular we all appreciate the effort that Pete Edwards put into planning and organising the event and the thousand odd hours that Mark Smales has invested in getting 1566 (and 6940) fit for the event. 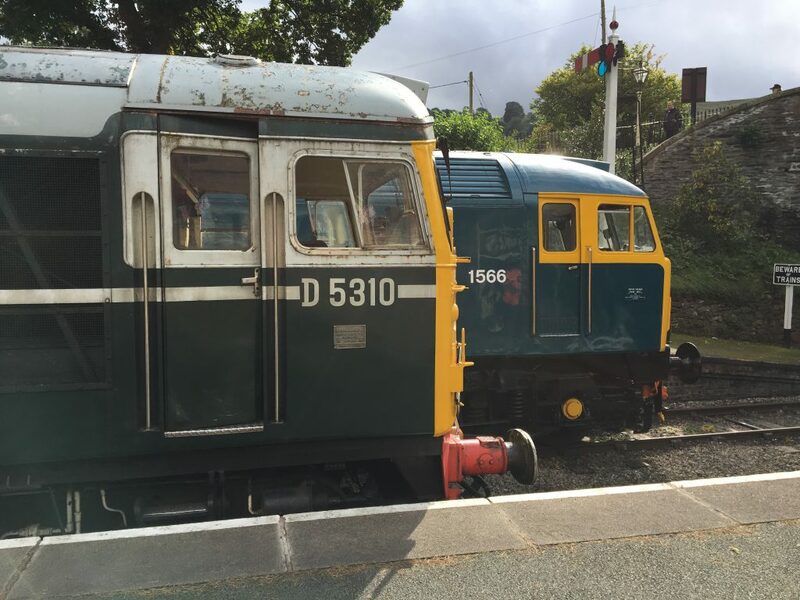 BR blue timewarp at Carrog on 23rd of September with a stunning 1566 next to 6940. A rare sight of all 3 of our locos running at Carrog on Sunday 24th. 1566 unfortunately failed at Berwyn on Saturday evening due to an oil leak. This was a big disappointment for us all and we’re sorry she held the last trains up. She was rescued by 08195, delaying the train by an about an hour, but getting everyone home and offering some rare mainline rod haulage! D5310 worked the evening trains in place of the 47 and this was also not without incident, when acrid-smelling smoke started to pour out from under No 1 end as the train approached Glyndyfrdwy. We feared the worst and suspected a traction motor problem but, after a thorough inspection and motor isolation, nothing untoward could be found. She then went on to run flawlessly for the rest of the evening and on Sunday. We’re at a bit of a loss as to what happened but wonder if a plastic bag blew up and became stuck against the warm brake blocks – one also got stuck to the front end of 1566 on Sunday (without the smoke though thankfully). 08195 to the rescue of a temporarily stricken 1566 on Saturday evening. In true LDG spirit, Mark pulled us all together early on Sunday morning to get 1566 sorted and she then ran well on Sunday, completing her first full day in traffic for over 5 years. This was also the first time we have fielded 3 of our own locos for 6 nearly years. The oil leak was simply a lose union on a pipe that fed the rocker gear on top of the block, but was a difficult one to see and fix whilst the loco was warm and running. By the time we’d found and staunched it we had lost so much oil that the low pressure sensor kicked in and this was made worse at Berwyn due to the gradient causing the oil to run away from the pick up pipe. A repair was also made to another leak that developed from a corroded pipe on the hydrostatic oil system that feeds the coolant louvres and fans. 1566 still needs some other issues attending to. This includes an outstanding minor water leak on the block which we can’t quite see the origin of and, as a number of people commented on over the weekend, still being low on power. Although the turbo seems to be working OK, the engine is not receiving much charge air pressure, so is not loading up fully. 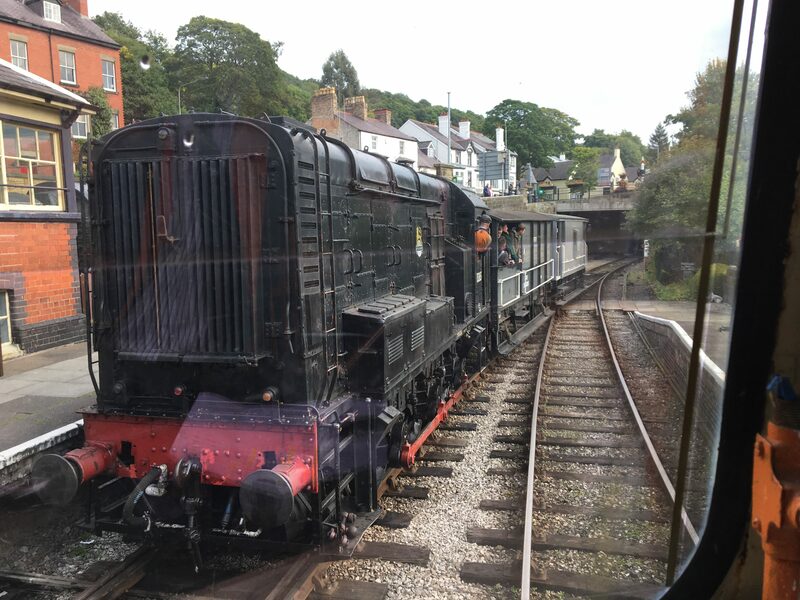 This will be investigated over winter but the loco can still work trains at Llangollen with more than enough power in reserve! 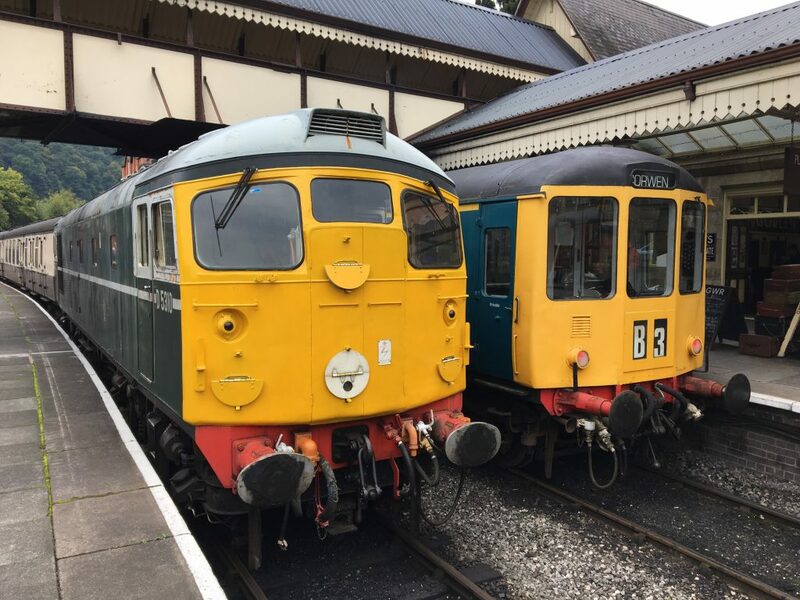 D5310 looked the part with her new full yellow ends, especially when hauling or lined up with her BRCW stablemate Class 104 DMU, which looked and sounded superb all weekend. The brake van trips were a big hit. 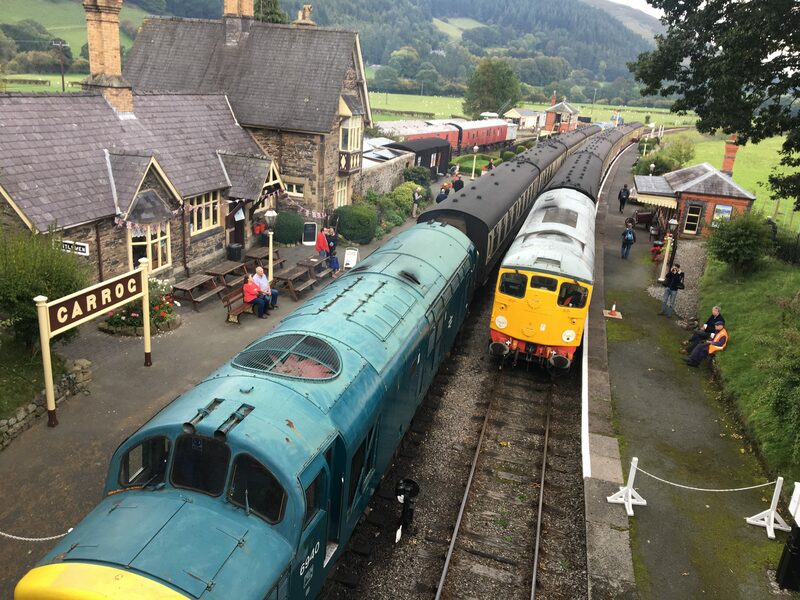 Matt Davies and Pete Edwards put a lot of careful planning into these behind the scenes, meaning they could offer some pretty impressive rare track for travellers, including river sidings, the diesel road in the yard and the headshunt at Llangollen. 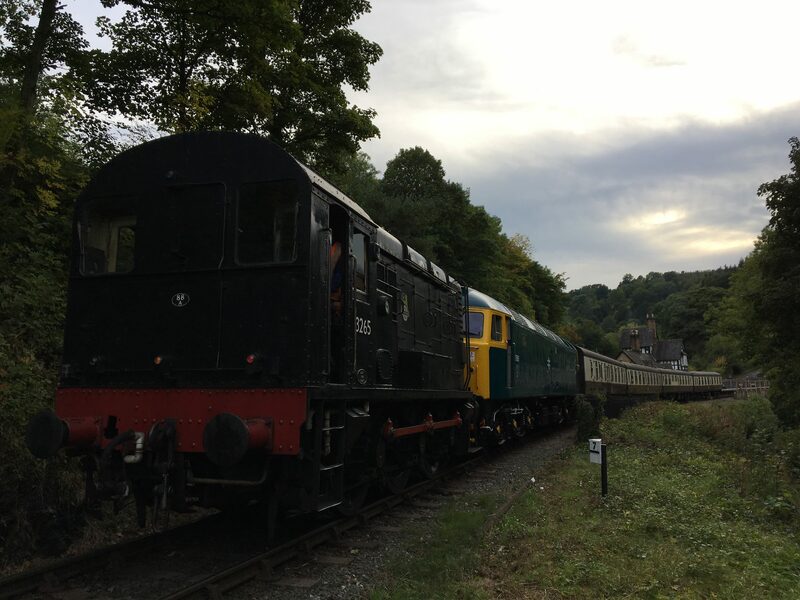 We appreciate the support of Kev Adlam and the members of the Branch Line Society/PLEG for getting together a large number of advanced bookings that made putting these trains on all the more worthwhile. Here’s hoping this lays the foundations for another successful diesel weekend next year. The provisional date set is the 29th & 30th of September 2018. Thanks again Folks!